The Rhine was about to be crossed. The Soviets were nearly through on the Eastern Front. The dying continued. These are the images from that final push and from V-E day, when the European theater came to its final conclusion. 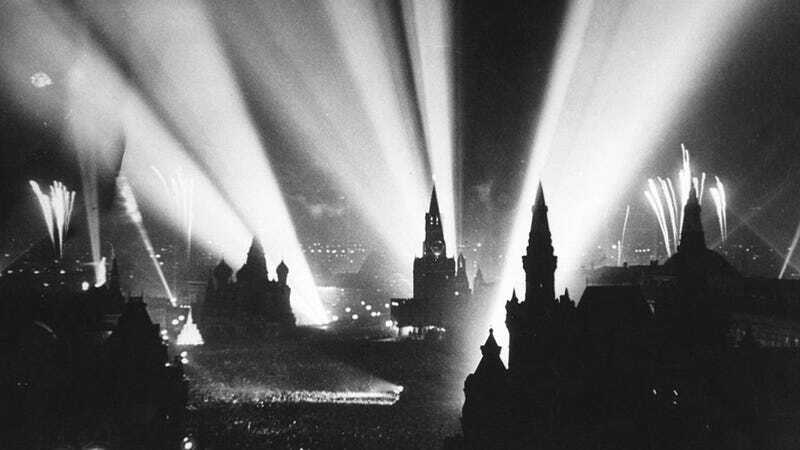 Above is the Red Square, illuminated with gunfire and celebration. It was a joyously happy occasion for the world, but as you can see in the In Focus series this week, many of the historic cities where fighting was fiercest did not survive. Victory, as it usually is in war, was bittersweet, and the Pacific Theater still raged.